The literary work of enigmatic German painter and photographer Wols, who died in exile in Paris in 1951, consists of aphorisms. Written in French on tiny pieces of paper he always carried with him in a small travel bag, they bear witness to the disillusioning experiences made in detention camps, during the war, and in post-war times. 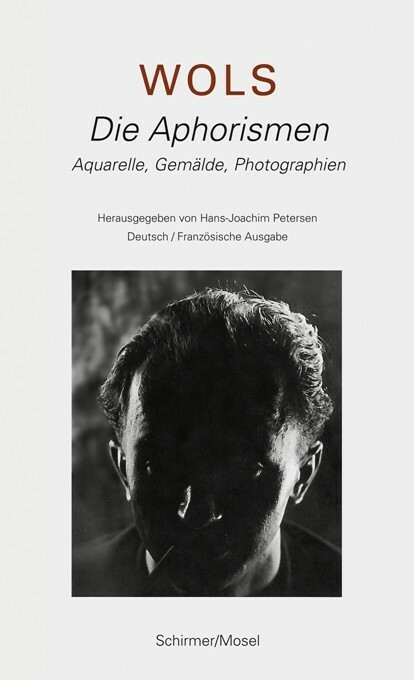 Almost 60 years after Wols’ death, this is the first complete edition of his aphorisms. Schirmer/Mosel. Edited and with an introduction by Hans-Joachim Petersen. 120 pages, 24 colour and duotone plates, 11.2 x 19 cm, hardcover. French/German edition.